The Legal Genealogist has to play along. James Tanner started it, in his “My Top Ten Genealogy Programs for Now” post on his blog, Genealogy’s Star, on August 14th. Randy Seaver joined in with his post, “My Top Ten Genealogy Research ‘Programs’,” on August 16th, on his blog, Genea-Musings. Pauline Cass joined the fun from Australia yesterday with her post, “My Top 10 Genealogy Gateways,” on her blog, Family history across the seas. Because, of course, I’m looking at this from a somewhat different perspective. I always look at the law. And at finding the law. And at understanding the law. So with that in mind… here are my top 10 websites for genealogy… and the law. 10. Cyndi’s List, “Law & Genealogy” category, with a ton of listing for all kinds of law-related items. 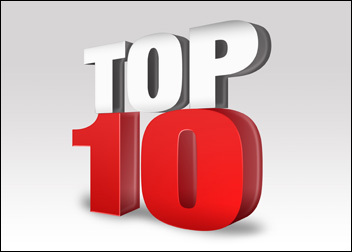 The Legal Genealogist‘s top 10. For genealogy… and the law. This list is a real keeper. Thanks, Judy! Thanks for this great advice, Judy.